As we gear up for the changing of seasons, EmpowerMT is also welcoming in some change of our own! As some of you know our beloved Katie Koga will be going to school to persue a career in nursing. We are so excited for her but will miss having her in the office as much! We are also welcoming a long time EmpowerMT leader to our staff as our Administrative Assistant! Read more about Katie and Sydie and check out our back to school program reminders. Her composure and kindness while keeping our EmpowerMT ship sailing smoothly! Welcome to the Staff: Sydnie Sinclair! This month we are so grateful to welcome Sydnie Sinclair to our staff at Empower Montana. This may be a new role for Sydnie, but she has been working with us for seven years already as a youth leader! Sydnie got connected with our organization as a 6th grader in our after school program EPIC. Since then she has amazed us year after year with her ability to lead her peers in creating safer and more inclusive schools. Sydnie works especially hard to dismantle racism and raise awareness about teen suicide rates and bolster prevention efforts. 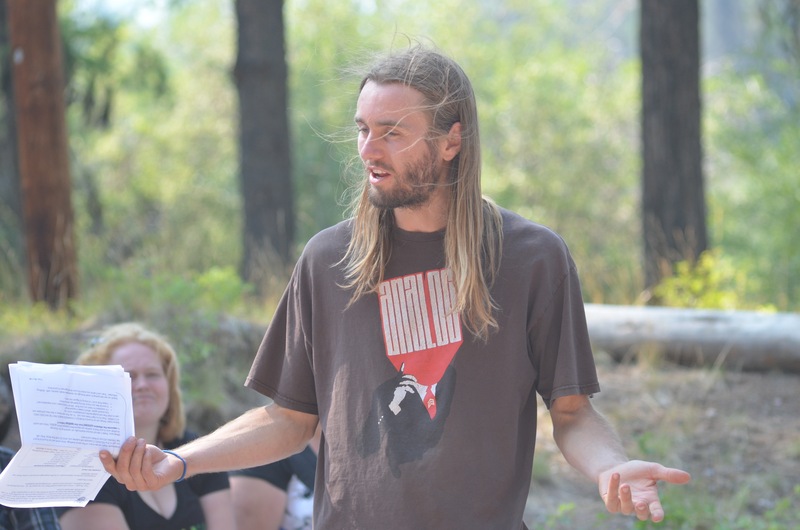 Sydnie recently was recognized as one of the top 25 leaders under the age of 25 in Montana. The award celebrates leaders from Montana who are challenging the issues in their communities to create positive change. “They are leaders who are challenging the status quo, taking risks, and breaking new ground in Montana.” Congratulations to Sydnie for this well deserved award! This fall Sydnie is entering her first year at University of Montana where she will be studying pre-medicine with the intention of heading to veterinarian school. Sydnie will be working with us through the work study program and taking on some of our dear Katie Koga’s office management tasks. We are so excited to see more of Sydnie now that she’s part of our staff! Read more about Sydnie’s award here, and check out heramazing senior project! Back to School, Back to Empowerment! EPIC is an after school program in which students have a place to be themselves without judgement and grow as leaders. In EPIC, students will learn, teach, and problem solve around issues of mistreatment in our schools and community.EPIC is offered after school starting September 26th at Hawthorne and Lowell Elementary as well as Washington, C.S. Porter, and Meadow Hill Middle Schools. For more information visit our website or contact Claire Michelson at claire@empowermt.org. Youth Forward is a safe and supportive drop-in space for youth 13-18 who identify as LGBTQ+. Youth Forward takes a holistic approach to meeting the needs LGBTQ+ youth through weekly activities such as interactive discussions, peer-to-peer support, leadership development, guest speakers, and community engagement.Youth Forward meetings every Wednesday from 5:00-7:00pm at Empower Montana located at 1124 Cedar Street. 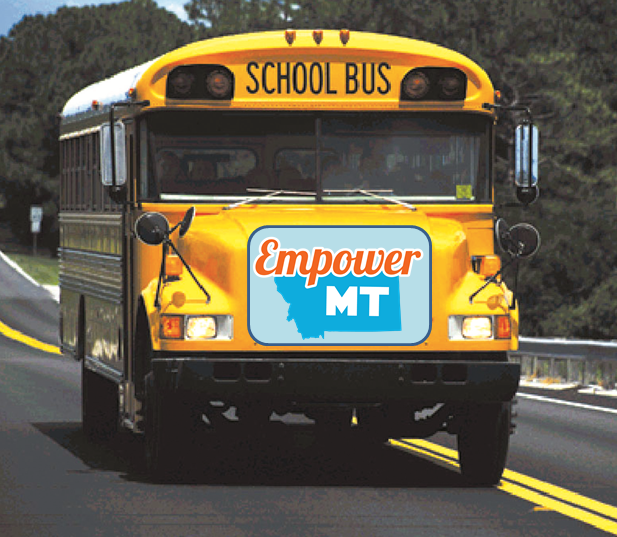 For more info contact our staff at 406-541-6891 or email info@empowermt.org. Also, stay tuned for information about an upcoming pilot program for youth in grades four through seven who identify as LGBTQ+ or want to learn more about supporting their peers. The series will run one night a week for five consecutive weeks and will focus on positive identity development and fostering support in and out of school. The tentative dates are set for Thursday from 4:30-6pm from October 19th through November 16th. Another fundamental part of our youth work is the workshops we offer to students and educators. 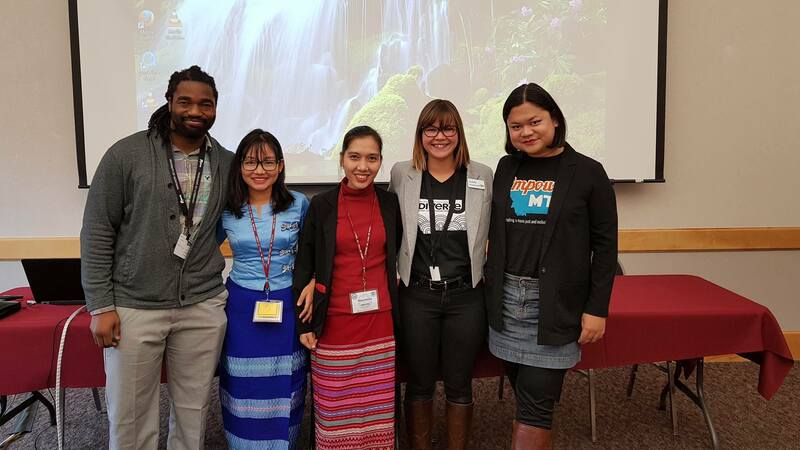 We work alongside Montana’s youth and educators to implement age-appropriate violence prevention programs for youth grades k-12, and train Montana educators in effective prejudice and violence intervention practices. 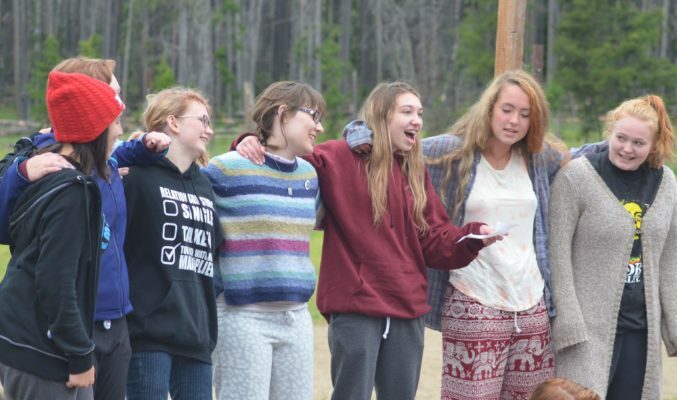 EmpowerMT youth programs are a sought out training resource by schools across Montana; since founding in 1998 thousands of youth and educators have received EmpowerMT training to build safer learning communities. To read more about our offerings visit our website! EmpowerMT is excited to announce that we will be holding another Advanced Leadership Training October 13th and 14th from 9am to 4pm each at the Missiona Valley United Methodist Church (70715 Hwy 93 approx.mile marker 39.5). The Advanced Leadership Training is an intensive workshop that teaches participants skills necessary for providing influential leadership in ending discrimination, reducing inter­group conflict, and building inclusive communities and organizations. This training is an excellent professional development opportunity as well as being the first step in becoming an official EmpowerMT volunteer trainer. For more information visit our website. Project Tomorrow Montana, Missoula City-County Health Department, Institute of Health & Humanities, Providence St. Patrick’s Hospital, Tamarack Grief Resource Center, Missoula Vet Center and other local partners have worked together to create a week of Suicide Prevention September 9-15th. For more information view the flyer or check out theFacebook event. Empower Montana is teaming up with some awesome LGBTQ+ adults to put on a panel about being a queer person in Missoula’s community. We’re inviting all LGBTQ+ and questioning youth and their parents/allies to join us for a night of knowledge and experience sharing. We want this to be a safe space to ask questions, and learn from our neighbors of all ages. The panel is scheduled for the evening of September 20th, from 5:00 – 7:00pm. A Minnesota charter school agreed to pay a family $120,000 after the parents of a 5-year-old transgender boy accused the school of violating their child’s rights by failing to protect him against bullies, CBS reported Tuesday.